FABQs: Will My Bees Bother the Neighbors? We can’t, in good conscience, say that your bees would never be a bother... but we can say that honeybees are quite gentle, and can make excellent neighbors with proper management! Their non-foraging activity is contained close to the hive, and if there are visual barriers around them, they often go unnoticed by those nearby. There are several management techniques that can minimize negative interactions between your neighbors and your bees, and we’ve broken them down for you below. Hive placement. Place your hives somewhere that keeps them out of the direct line of sight of neighbors and passersby, and point the entrance toward a wall or fence to push their flight path well above human height. Unless your neighbors have an attractive water source or hummingbird feeders in their yard, they will likely never even notice that there are bees around! For tips on safe hive placement, click here. Water source. If your bees don’t have an adequate water source near their hive, you’d better believe they will hop on over to the neighbor’s pool or pond. This can be difficult to correct, so it’s best to provide water for them right off the bat. A large, shallow bird bath with stones placed inside is a quick fix for this. Proactive hive management. Make sure your hives always have room to expand (to limit swarming), requeen aggressive colonies and don’t open your hives in bad weather conditions. These things are all sources of neighborly tension, and they are easily avoided if you stay on top of things. Education. If you have jumpy neighbors, a little education can go a long way. 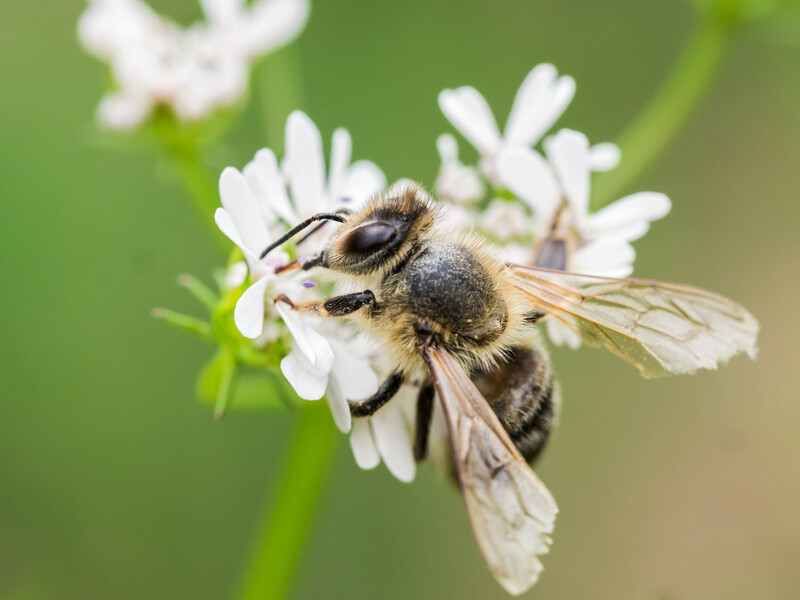 Make sure they know the difference between bees and wasps, tell them how to avoid stings if they see a nearby bee, extol the virtues of honeybees and loop them in on why it’s important to support all of our pollinating friends. A peace offering of honey can be helpful, and we’ve also had luck inviting neighbors over to suit up and do an inspection with us! Here is a super helpful honey bee information sheet that Portland Urban Beekeeping Association put together for this purpose. It’s important to make every effort to be a good bee ambassador. Fortunately, we find that most folks are happy to have the bees around!